The tower and abutting property located at Triq San Pawl c/w Triq it-Torri Gauci, Naxxar, was built by Francesco Gauci to safeguard his family and property from raids by the corsairs. Grand Master de Valette tried to take it from him to use it as a fortified residence for the captain of arms of Naxxar. The owner pleaded with the knights and he was allowed to keep it. The order built a new tower a short distance away known as it-Torri tal-Kaptan. The tower is a square structure on two levels immediately abutting the residence of the Gauci family. The tower still has intact box machiolations surviving on each of its façades. A moulded string course separates the two floors while another smaller moulded string course separates the top room from the high parapet wall. The abutting property is a typical townhouse with basic crenallations at roof level. 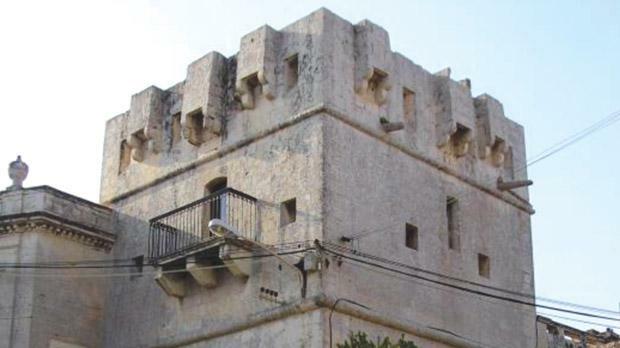 Mepa scheduled Torre Gauci as a Grade 1 national monument and the abutting dwelling as a Grade 2 national monument as per Government Notice 22 dated January 10.